I believe i was given the true events, but ‘wrong’ date for a reason, that reason being to expose people’s true state of heart prior to the actual events unfolding. I am just a trigger to bring these things to the surface. h3> Do you have questions about your life or the state of the world? Have you been looking for a perspective that brings together spiritual truths with scientific evidence? Do you want to know what is really going on beneath the camouflage of politics, media and religion? From the age of 14, Alexander Retrov started channeling his then Spirit Guide. 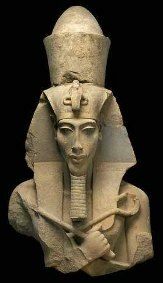 Several life changing events led him to the King’s Chamber of the Great Pyramid in Egypt where he remembered his past life as Akhenaten, connected to his Cosmic Self, to Source, and remembered his purpose as a Keeper of Light and channel for the awakening of others. However Alexander Retrov is not only a psychic, tarot reader and channel, but also firmly based in scientific proof, geological evidence, and astrophysical fact. ‘RED GRANITE -The Grains of Truth Beneath the Sands of Egypt’ is one man’s journey into self discovery. 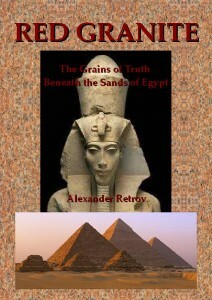 90% factual, the pieces are woven together around a semi auto-biographical journey down the Nile. As Alex visits each temple or ruin along the river, he encounters places and people that strip away his layers of ignorance and trigger him into remembering not only his true self but his purpose in life. However, he also discovers the true history of the planet, the human race, and the truth behind the lies and deceptions of our governments, religions, and the puppet masters who control them – the Illuminati. And that knowledge alone could get him killed. Ultimately it leads him right into the den of the dragon, to those who lurk behind the scenes in the shadows – the Dracos. What is true, and what is hype? This lecture will explain it all to you, not only WHAT is going to happen, but more importantly WHEN and WHERE. Many people have some pieces of the puzzle. However Alex not only knows the final picture, he will also show you how all the pieces fit together. The world will change much sooner than most people think. This physical journey down the Nile, through the ancient temples of Egypt, will be an ignition, memory trigger and reminder of our soul’s past. It is a conscious journey of facing our fears and blockages, of reawakening, remembering and accepting the dormant parts within ourselves, thus purging ourselves of all obstacles preventing us from truly living in heart. Our aim is to become one: to become fully empowered God/Goddesses in this challenging time in which we live and to be prepared for all the changes so that we can play the part we came here to play. Please note: As I am traveling, it may take days or weeks before I can read all the comments made to this site. If your comment is constructive or asks a pertinent question I may elect to post it for all to see and reply. As of September 9th I will be completely uncontactable so please do not post comments or questions as they will fall on deaf ears. Just desire to say your article is as astonishing. The clearness for your post is simply great and i could think you’re a professional on this subject. Well with your permission let me to clutch your feed to keep up to date with forthcoming post. Thanks 1,000,000 and please continue the gratifying work. I recently sent you a message inviting you onto our radio show to speak about what is to come and to promote the DVD and your tour. I noticed you responded to other messages written after mine, but didn’t respond to mine? We would love to have you on the show, and you can call in from where you are or via skype. Let us know because we’d love to have you! Micah Skye, Esoteric Action Radio – Oracle Broadcasting Network. How does one get the second part of the most fascinating video I’ve ever reviewed? I realize that the time is running out for all down here in Earth land so would like to enjoy it before the shaking starts please. Let me know what to do real soon if you would. Thanks for all you do…Richard…. Oh I meant to mention this one important piece of information to all of you in the Comment field, We did have THREE Mag 7′s just a few days ago. In fact on was a 7.5 all on the same day. Alex I think you know exactly what you’re talking about and thank you for sharing it with all of us…Richard…. Alex, just amazing. I just watched the 1st part last night, somebody sent it to me. Today a friend calls and says “Andy, are you wathing TV and seeing the earthwuake in Virginia”? I was floored, I had forwarded the info to him. I was not able to get to a tv until later tonight. You had a class in New York today??? WOW. Is this part of what you were talking about? Thanks for your work. You mentioned a couple of days ago that you’re staying in NY between Aug 22 – 25. I am writing from NY and wanted to ask you if you felt the 5.8 earthquake… People should listen to you! I enjoy meeting you and the lecture at the Bodhi Tree in Los Angeles. Connections are being made from the information you provided. Looking to do the Eygpt trip. When I moved back to Bullhead City Arizona, I was unable to find my passport. When got back home on Monday, I found it just were I left it. Now, the next thing is to manifest the finances for trip. Finally someone who tells it like it is. Nothing happen on Aug 17 2011.Why? I must say it was very interesting watching your video. Alot of the stuff you said I had already felt before but after listening to you I got to verify it all. Thank you for giving me a moment of clarity. dear alex your presentation was fitting well with my own research on the topic.In India v call it pralaya,its said that by another month or so many of the big stone bulls(nandi) in front of lord shiva(lepakshi),& the one at Mysore will stand up & cry loudly,crystals will start talking this will probably correspond to the eclipsing of sun with nobiru – with release of huge amount of infred & other rays,animals to will do the same,lord Krishna -(Krista- Christ!) all the same will remember himself after the reilif from curse given by Gandhari – after the Mahabharata war,- @ completion of the 5000yrs,this will happen around 20th oct.2011. Dear alex – According to hindu scripture – sun has 2 sons,one of them is saturn,other Yama(god of death – with his city of yamapuri – which might be Nibiru! )Hence all the dead ones might be visible during the close encounter.Shri yantra – which is the sacred geometry may help during the critical times. May peace be to all. In the end, all things are relative. When you mention a “vote of will by consciousnesses” in the interview… I think it’s all a point of perspective… and doesn’t even really have much significance, simply a manifestation. Past Present and Future are now. all lifetimes are accessible to all.. including all lifeforms. Future has already happened. Past is already happening. Everything is layed out to “Source” as you put it. Add a skin to that, and you get souls and spirits. Our individuality is a matter of perception censoring so that we can experience a much FULLER experience, where we fully identify. Complete focus. Consciousness compressing as you put it. The experience of what’s going to happen has already happened and is happening… and exists in timeless stasis already right now. Lifetimes as we perceive them is just consciousness sifting through a branch of the chaos theory that flows along a particular course of choices. Like you say, all things exist, much like there is a program.. the consciousness just picks which course to follow, and hence we perceive life and experience. My dear brother, i like to thank you for such great information i must tell you when i listen to you i can feel the connection right away, i truly believe you are a messager and i hope my dear brother the people are listening to what you have to say, i am Haitian American i did go home in 2010 after the earth quake there and let me tell you i have never seeing anything like this so please world listen, research and do your best to save your self and your families. Alex is bless and he is here to help us please listen folks, please listen, my dear brother thank you again for this information may God be with you and your family, may God be with the whole humanity, God help us all. you need to keep flash on your camera. then you will see the planet right above the sun its tiny but you can notice it. try it and you will be amazed. your philosophy and teachings are fantastic and of the highest of frequencies. SPOT ON .. Thank you for all your work and help in bringing the warning. The veiled will be forever blind. But those with higher strands activated can see the signs and evidence and are not afraid of this transition to a new aura and frequency. To deny the clear and present changes to our physical reality in it’s current state is sheer ignorrance. Wether you believe Alexander or not, individually we must all ask the question ” Is this the only form of existance for humanity in our present state ? “. I hope not . We must all come to the realization that this is a manifested reality that we have complete control over as long as we keep our spirits/souls full of love. I urge humanity to put down our tools of destruction and arm ourselves with truths to find a clear path to our enlightenment. Really? What part of ‘Don’t believe a word i tell you’ didn’t you understand? Thankyou alexander.There seem to be alot of people who like to attack others regardless of the subject.It must be something stuck within themselves. I’ve seen the planet in the pre-dawn light 2 weeks ago. I looked out the window to see if it was a frost and there it was. wow! I beleived you but I still got a surprise.Yes people have been showing there true colours.Thankyou so much for all your advice. It’s nice to know others are out there.all my love to you and your family. Ever considered no one is interested in YOUR opinion.